Bonnie Lee is the founder of Taxpertise located in Sonoma, Calif., a firm providing bookkeeping, payroll services, QuickBooks Training, income tax preparation and tax problem resolution including audits, offers in compromise and other representation issues. 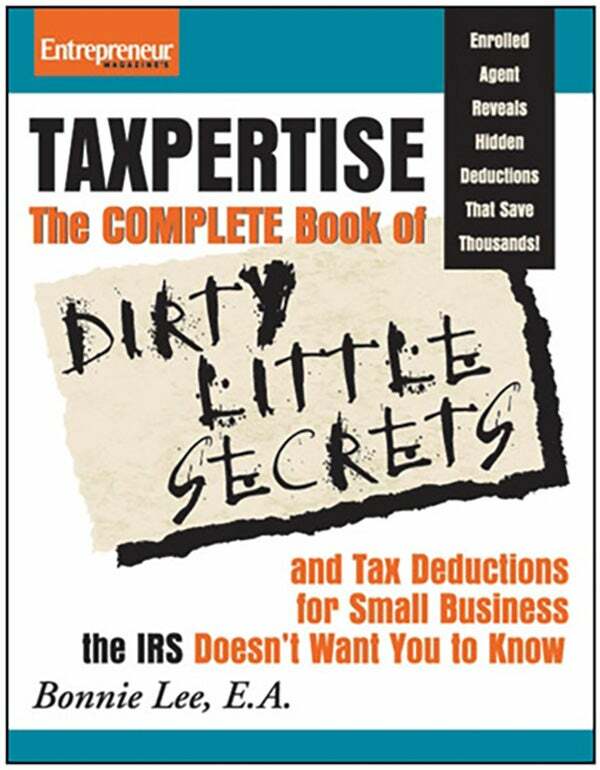 She is also the author of Taxpertise: The Complete Book of Dirty Little Secrets and Tax Deductions for Small Business the IRS Doesn’t Want You to Know (Entrepreneur Press, 2009). If you're an entrepreneur, it's critical to find a tax preparer who understands the tax implications of owning a small business as well as your particular needs in order to establish a beneficial relationship. We're more than half way through 2014: Where does your business stand in terms of taxes? Even if you have all of your ducks in a row, the IRS could hand select your return to be audited. Here are some reasons why. Taking some time now to get your finances and taxes in order can bring substantial savings come tax season. As we head into the holiday season filled with business events and parties, it's important to keep in mind that the IRS is strict with its tax-write off standards. Years of losses can leave some owners with nothing more than a hobby. Here's how to turn your fun venture into an enterprise. Follow these tips to take stock of your business's tax situation before the start of the New Year. Part two in a three-part series to help you build your business on a strong foundation. Part one in a three-part series to help get your business started on a strong foundation. Readers ask about hiring a tax pro and qualifying for a compromise. Proper documentation could be your saving grace in case of an audit. Taxpayer champion and enrolled agent Bonnie Lee puts the IRS under the microscope and uncovers proven methods, and surprisingly simple strategies to minimize your taxable income, maximize deductions, and, ultimately add thousands back to your business' bottom line!